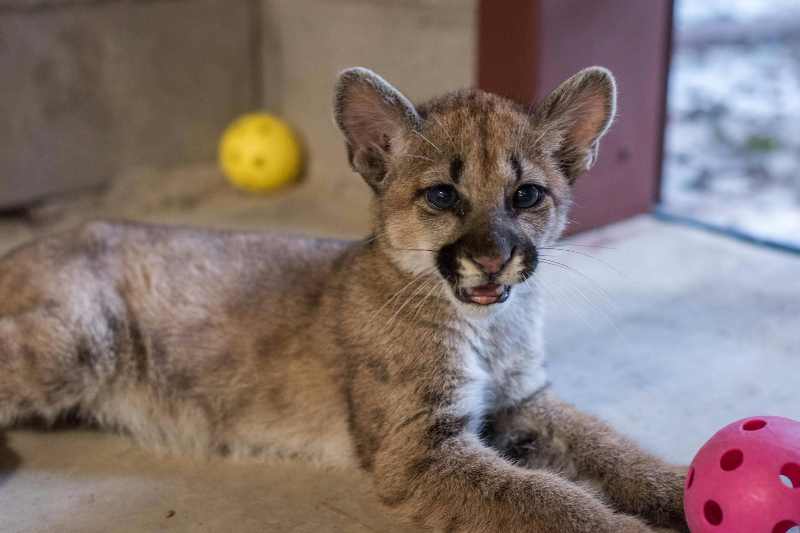 Four orphaned cougar kittens have joined the residents of In-Sync Exotics this week. 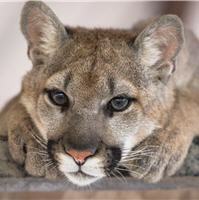 Three of the kittens (two female, one male) were reported to the Washington Department of Fish and Wildlife. Confirmation that the kittens had been orphaned was needed before action could be taken, so the department monitored them via remote camera for several days. After their mother did not return, the department stepped in and rescued the cubs. There is no information available as to what happened to their mother. A fourth female cub was found orphaned outside a forest fire area a few days later. 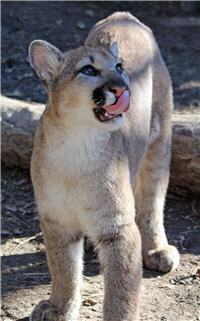 We researched rehab and release possibilities for these babies (as we have had success releasing bobcats). We could only find one place (in Santa Fe) that has even tried it, but they have had very poor success rates. 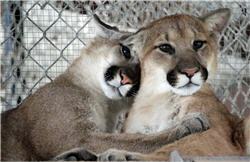 The longest one of their released cougars lived was a few months, and another recently released only made it a couple of weeks – they were killed by other cougars. They are now living the life in a large enclosure with a covered den area and a large outdoor grassy area, complete with tons of toys, platforms and ramps! A huge thank you to all of our donors who helped make the vet clinic possible!